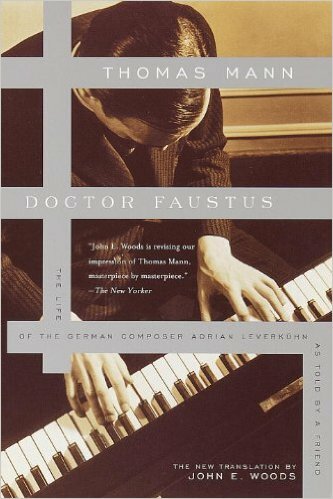 Thomas Mann is justly famous for Death in Venice (1912) and The Magic Mountain (1924), but perhaps his most fascinating work is Doctor Faustus (1947). In this reworking of the Faust tradition, a modern composer sacrifices his soul to the devil—or perhaps just to tertiary syphilis—in exchange for creative genius. He is specifically German, and both his personal story and his art embody the greatness and the evil found in his cultural roots. Writing in the last years of World War II, Serenus Zeitblom, his fictive friend and biographer, struggles with his own ambivalence toward art's creative sources while describing Leverkühn's journey through the previous half-century's political, philosophical, scientific, moral, and aesthetic developments. John Woods's translation (1997) comes as close as possible to transmitting Mann's brilliant use of archaic and modern linguistic registers to construct the complex ironies that make this novel both profound and stimulating.